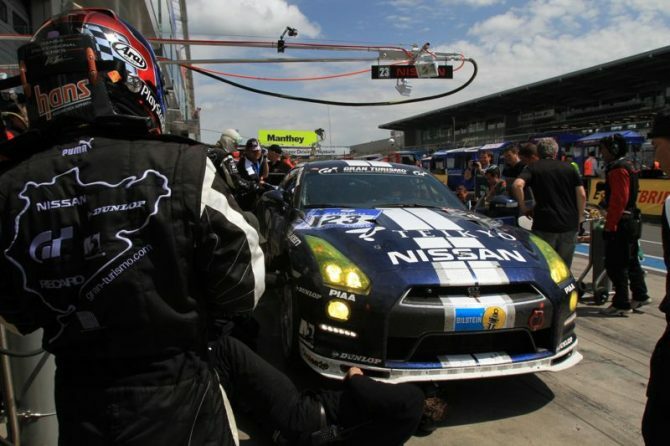 Kazunori Yamauchi, creator of the Gran Turismo series, has become a regular in the legendary Nurburgring 24h endurance race. 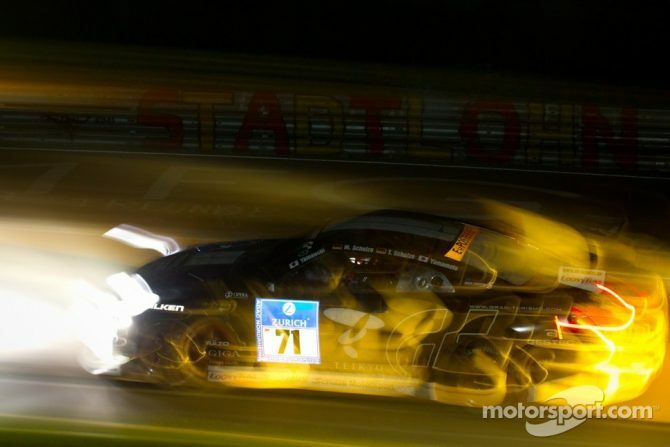 Last year he raced as part of the Team World Car Awards, but problems to the fuel pump forced the team to start in 174th place, and to enact an epic climb through the ranks that brought them to overtake 114 cars in the course of two days and a night. This year Yamauchi is at it again, with a new car and a new team with which he already raced in the four hours-long ADAC Reinoldus-Langstreckenrennen ten days ago. The new ride is a sleek black Nissan GTR painted in a livery that will look quite familiar to Gran Turismo 5 fans, and the team includes Yasuyoshi Yamamoto (founder of the Japanese tuning brand Opera Performance) and Tobias and Michael Schulze. 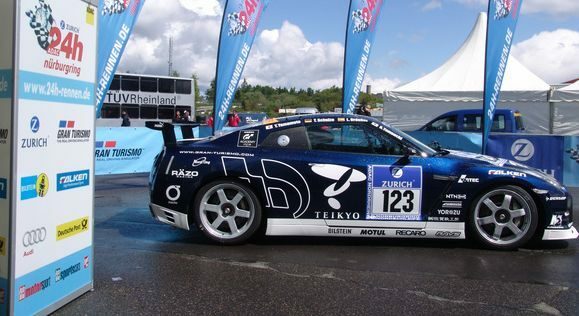 In the gallery below you can see Yamauchi’s new GTR and the game development legend himself in his racing suit at the ADAC Reinoldus-Langstreckenrennen, and a picture of Yamauchi and Yamamoto together at a previous event. The race will start on June the 25th at four PM local time, and will end the following day at the same hour. 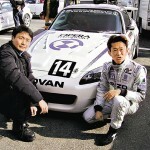 Yamauchi’s car will race with number 71. I’m planning to stay up all night and cheer on the Kaz, hijacking Dualshockers to write some ongoing coverage of the race. 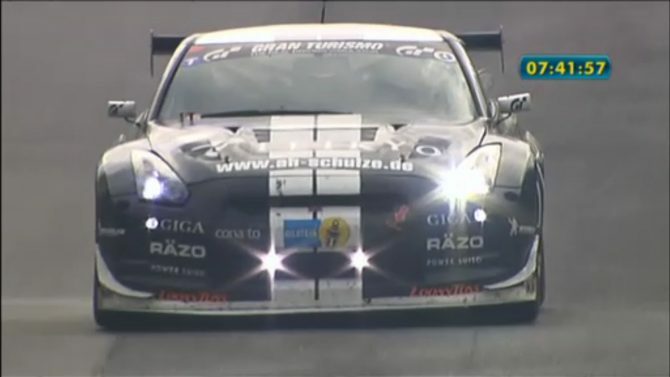 After all it doesn’t happen every day for a legendary game developer to take part in a legendary race. Who’s with me?